Human rights in Poland are guaranteed by the second chapter of the Constitution. Poland is a party to all important international agreements relevant to human rights, including the Convention for the Protection of Human Rights and Fundamental Freedoms, the Universal Declaration of Human Rights, the Helsinki Accords, the International Covenant on Civil and Political Rights, the International Covenant on Economic, Social and Cultural Rights and the Convention on the Rights of the Child.Contents1 History 2 Modern-day2.1 The status of women 2.2 LGBT rights 2.3 Third-party evaluation3 Opinions of NGOs 4 See also 5 References 6 External links 7 Further readingHistory Elements of what is called now human rights may be found in early times of the Polish state. 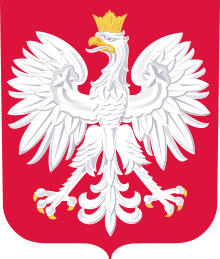 The Statute of Kalisz, the General Charter of Jewish Liberties (issued in 1264) introduced numerous right for the Jews in Poland, leading to an autonomous "nation within a nation"